Martine Dietz lives in the North of Holland and has been involved with dogs for over 35 years. She has raised, trained and worked with working dogs in various disciplines: mantrailing, detection, obedience, agility, hunting, and SAR work. She has been an instructor since 1991 with numerous certifications. Martine has three trailing dogs: a Malinois, Ravel (GAK level 3); a BGS, Wallis (GAK9 level 2) and a Working Cocker Spaniel, Giggle (GAK9 level 2). She also started a young working cocker spaniel Griff with his mantrailing and hunting career. 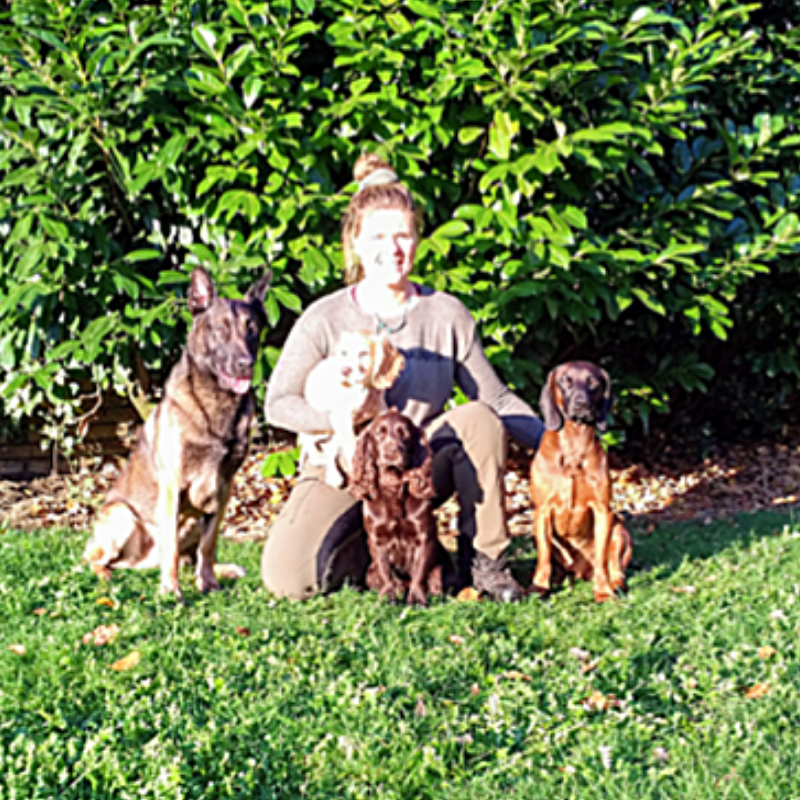 Martine’s skills include motivation, reading dogs, problem-solving, training pups and encouraging the dog and handler to become a real team in balance and harmony.